The run up to Christmas for both kids and parents is crazy. You’re constantly bombarded by adverts, billboards, cataloges and displays of the new latest and supposedly greatest toys – which, although brightly colored and expensive, aren’t necessarily the best options for your child’s development. It can be a challenge to find stocking fillers that are both fun and educational for your child, especially if you’re concerned about teaching your little one to be environmentally and culturally conscious. They are out there though! There are many pocket-sized books with short stories, fairy tales and facts available for kids, which are great for alleviating boredom and learning on the go. Most cultural attractions like aquariums, zoos and other fun learning centers offer pre-sale tickets or gift vouchers. If not, or the attraction is free, try making a colorful ‘check’ that your child can redeem from you. Magnetic words help develop English skills, as well as being a whole heap of fun. Pop them on the fridge, and see who can create the funniest (grammatically correct) sentence! Decks of ‘snap’ cards are great for young ones, and older ones’ Math skills can benefit from a traditional deck and some coaching on games from mum and dad, or a book! Easy-grow seed kits are a great way to teach your little one about plants and the environment, and there are many kits available with plants kids find fascinating – think Venus Fly Traps and ‘butterfly gardens’. Puppets are great to help kids learning about role playing, as they can ‘become’ the character. If you fancy a little Boxing Day challenge, get a make-your-own kit. A new pack of pens, pencils or crayons never fail to excite kids who love to write and draw, and they work as great classroom rewards and incentives to encourage practicing handwriting. Get a pocket notebook book to go with, and they can act on their artistic impulses wherever they roam. For little ones, animal figures are a great, interactive way to learn about the world and where these animals live – most children learn early on about farm animals, but miss out on more exotic ones. If you fancy teaching a bit of history, why not include a dinosaur figure? Whether they use them in their artistic pursuits, or as an addition to their reward chart for completing chores and for school incentives, providing a child with stickers automatically prompts the thought ‘So what can I do with these?’ You could even make them a laminated sticker book to go with it – giving them a place that isn’t their bedroom wall or carpet to stick them! Pop an accessory to go with their big present in their stocking – for example, if you’ve bought them a wooden train set, wrap up one of the trains or a train driver figure. If you’re gotten them a dolls house, wrap up a piece of furniture for it. 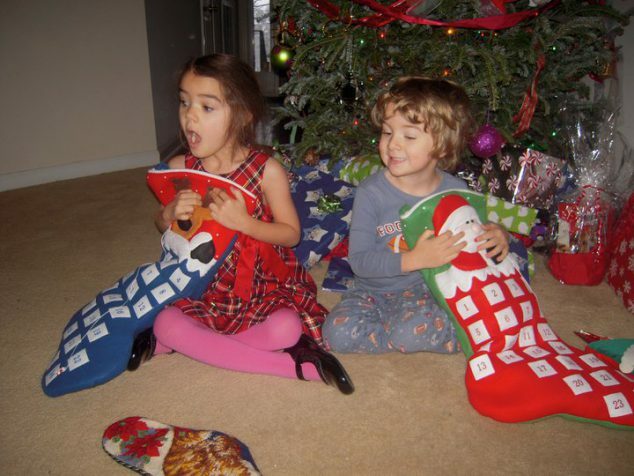 They’ll be so excited, or puzzled, that opening their ‘main’ present will be even more fun. Do you have any more ideas for educational stocking fillers? 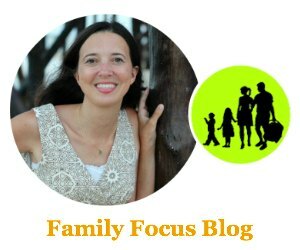 Guest post by Louise Blake is a new mum and a writer. She currently lives with her partner and son, who she’s determined to make into a genius! When she’s not writing she enjoys taking yoga classes and take her dog for long walks. You may also want to check out my Favorite Christmas Crafts on Pinterest and Christmas Potluck Recipes! My kids love those grow your own kits. 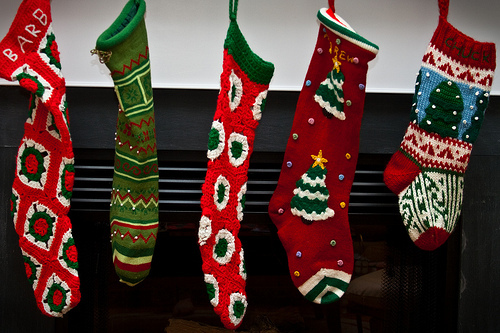 I always have so much trouble coming up with things to fill their stockings so these are great ideas. I remember my mother used to fill ours with underwear and socks LOL.